"The Adventures of Tom Sawyer" is a much loved and classic work of 19th century American literature. It is the story of Tom, a rambunctious young lad who lives with his Aunt Polly. Tom is a boy who doesn't much like going to school and throughout the book does everything he can to get out of it. Near the beginning of the novel Tom exhibits his keen wit by convincing some boys to paint his Aunt Polly's fence that he has been punished with having to paint on a Saturday for skipping school to go swimming. 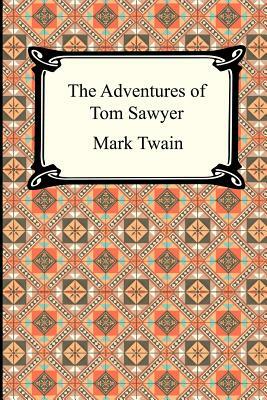 "The Adventures of Tom Sawyer" is a story of boyhood love. Tom falls for Becky Thatcher, the daughter of the town Judge, and tries to woe her throughout the novel. It is also the story of boyhood adventure and camaraderie. Tom and his friend Huckleberry Finn witness a murder, become pirates, are thought to be dead, and search for lost treasure. It is a novel rich with the regional dialect and depictions of the Mississippi River Valley in which Mark Twain grew up and is known for writing about. "The Adventures of Tom Sawyer" will delight readers young and old with its light-hearted comedic narrative.